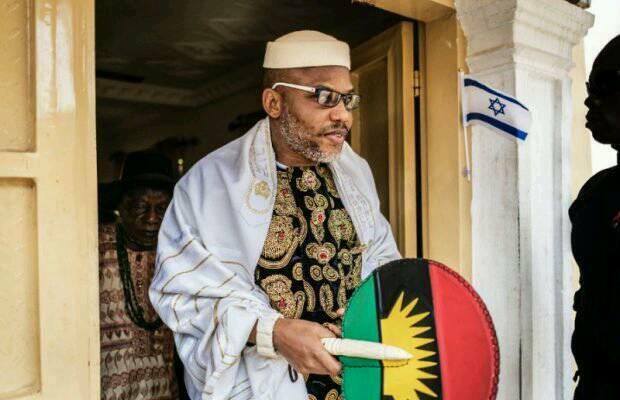 After quashing six count charges out of eleven count charges leveled against Mazi Nnamdi Kanu the leader of IPOB, director of Radio Biafra and Biafra Television, following the house arrest bail which was granted to him by Justices Binta Nyako of the Federal High Court sitting in Abuja in the month of April, 2017, the Department of Secret Service (DSS) which is the tools that the Nigerian government uses to see if the dream of Nnamdi Kanu in getting Biafra restored will be thwarted, did not only accuse him but has displayed their displeasure over the quashing of some charges they leveled against him for lack of evidence to substantiate their claim hence the quashing of six charges on the ground that they lacked merit. They are now plotting on how to paint the image of Mazi Nnamdi Kanu and IPOB black or even to eliminate him by any possible means. It was gathered from a reliable source who pleaded anonymity, that the Nigerian DSS and CID are planing to plant explosive devices around the country home of Mazi Nnamdi Kanu, the supreme leader of the Indigenous People of Biafra at Afara-Ukwu Ibeku, in Umuahia, Abia state which is located not far from the Abia state government house. The source also revealed to Family Writers Press (FWP) that the Nigerian DSS and CID are also planing on how to bomb Abia state government house and some buildings belonging to government agencies located in the capital city of Abia state and its environ. And their aim is to further accuse Mazi Nnamdi Kanu and IPOB of being responsible for it, since his home is not far located around the area. However, the Indigenous People of Biafra worldwide is on this note putting the world on alert, the United Nations (UN), Amnesty International, on the devilish plot which the Nigerian government is planning through her DSS, CID, Boko Haram and Fulani herdsmen which are all her agents in disguise. We the IPOB wants to let them know that nothing is hidden under the sun, and we need not reveal what will be the condition of this contraption called Nigeria if they finally pushed us to the wall, knowing that 1967-1970 is not 2017. Many years have goneby and a lot of trasformation have equally taken place and humanity in this generation will feel the heat from all corners of the world if this mistake finally happens. We are looking out for the United Nation to give us a date for our referendum, because the people of Biafra in their total commitment with the success of the just concluded 'Sit At Home' directive organized by IPOB in honor of all the Biafran fallen heroes and heroines on May 30, 2017, its now a clear indication that the Biafran people are not just tired of staying with Nigeria but they want Biafra to exit from the contraption and this is the time the world would stand and do the needful instead of keeping mute because what will follow if things are not well addressed will be disastrous for this generation and the generations to come.